Banffshire & Buchan Coast SNP: Blackford: Universal Credit Becoming Theresa May's "Poll Tax Moment"
Blackford: Universal Credit Becoming Theresa May's "Poll Tax Moment"
SNP Westminster Leader Ian Blackford has said Universal Credit is becoming Theresa May’s “Poll Tax moment” – warning the Prime Minister to demonstrate empathy with ordinary people and halt the disastrous roll out, or ultimately risk destroying her own premiership. 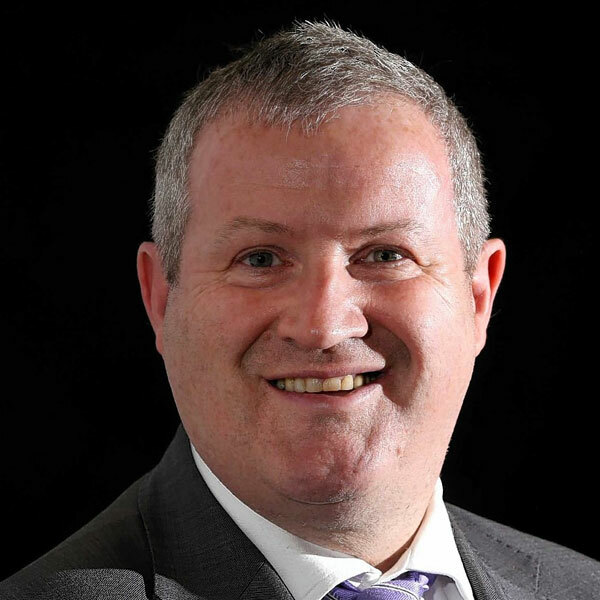 The MP for Ross, Skye and Lochaber said the botched roll-out of Universal Credit is driving families into poverty, debt and destitution but instead of listening to the evidence, and accepting the policy is flawed, the Prime Minister is burying her head in the sand in the same way that Margaret Thatcher did with the Poll Tax. Universal Credit is set to be rolled out across Scotland by September 2018. Earlier this week it was revealed that nine of Scotland's local authorities will spend almost £9million mitigating the devastating impact of the roll out - money which could otherwise be spent on schools and vital local services. “Theresa May must stop burying her head in the sand and urgently face up to this Tory policy disaster by halting the roll out of Universal Credit now. “In her first speech as Prime Minister Theresa May pledged to fight against the “burning injustice” of poverty but instead her government has pushed families further into crisis, debt and destitution – forcing thousands to rely on emergency aid and food parcels just to get by. “Universal Credit is becoming Theresa May’s Poll Tax moment – and unless she demonstrates that she is capable of empathy with ordinary people, accepts this policy is flawed, and takes action fast, she ultimately risks destroying her own premiership. “Instead of ploughing ahead with a flawed policy, in the same blinkered way that Margaret Thatcher did with the Poll Tax, she should listen to the evidence, and prove she is serious about tackling injustice by stopping the roll out of Universal Credit, and fixing the deep-rooted problems that have been known about since 2013.